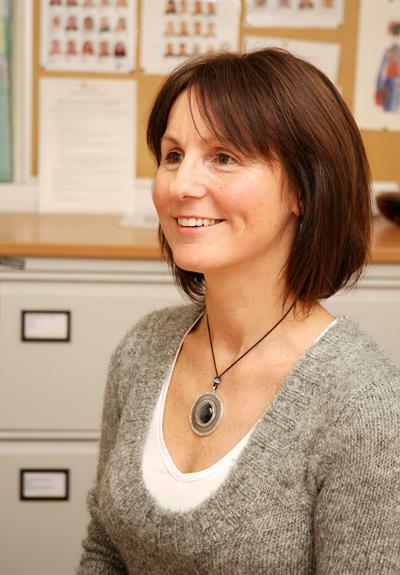 Dr Lorraine E Williams is Associate Professor in Plant Biology within Biological Sciences at the University of Southampton. 2014-present: Associate Professor. Biological Sciences, University of Southampton, UK. 2004-2014: Senior Lecturer. School of Biological Sciences, University of Southampton, UK. 2001-2004: Lecturer. School of Biological Sciences, University of Southampton, UK. 1991-2001: Royal Society University Research Fellow. School of Biological Sciences, Southampton, UK. 1991-1991: Postdoctoral Research Assistant. Department of Biology, University of Southampton, UK. 1989-1991: SERC Postdoctoral Research Fellow. Department of Biology, University of Southampton, UK. 1988-1989: Postdoctoral Research Associate. Department of Agronomy, University of Illinois, Urbana, Illinois, USA. 1987-1988: Postdoctoral Research Associate. Department of Genetics and Pathology, Hawaiian Sugar Planters' Association, Hawaii, USA. 1984-1987: Graduate Research Assistant. Department of Biology, University of Southampton, UK. 1984-1987: PhD Plant Physiology. University of Southampton, UK. 1980-1984: BSc Applied Biology. University of Bath, UK. Membrane transporters are vital for plant growth and development. They play key roles in plant nutrition, signalling, homeostasis, osmoregulation and stress responses. The way in which we view membrane transport in higher plants has radically changed and we now recognise the diversity of transport proteins. Many belong to multi-gene families and individual members often differ in their tissue specific expression pattern, developmental regulation and transport properties. The array of potential transporters for a particular nutrient, together with the presence of isoforms within a transporter family, allows particular cells to respond to developmental and environmental signals in order to carry out efficient transport over a wide concentration range. This is essential in allowing integration of solute transport at the whole plant level. We are in an exciting era in the field of plant membrane transport with still much to do. My area of interest is in exploring membrane proteins which have key roles in plant nutrition. As plants are the basis of all foodstuffs we ingest, this research has important implications for agriculture, human nutrition and health. Is there a conserved function for the GTG/GPHR family of membrane proteins? This project is focussed on the role of transporters in the acquisition, distribution and homeostasis of Mn, and aspects of their regulation. Investigating membrane proteins of Arabidopsis involved in alleviating manganese toxicity and deficiency across the plant. Developing an increased understanding of the regulatory mechanisms controlling zinc content in wheat may allow the formulation of targeted breeding programmes and biofortification strategies to enhance the zinc content of this staple cereal. Hall, J. L., & Williams, L. E. (2003). Transition metal transporters in plants. Journal of Experimental Botany, 54(393), 2601-2613. Williams, L. E., & Miller, A. J. (2001). Transporters responsible for the uptake and partitioning of nitrogenous solutes. Annual Review of Plant Physiology and Plant Molecular Biology, 52, 659-688. Terry, M. J., & Williams, L. E. (2002). Fractionation of plant tissue for biochemical analyses. In P. M. Gilmartin, & C. Bowler (Eds. ), Molecular Plant Biology Vol. 2: A Practical Approach (pp. 147-171). (Practical Approach Series; No. 259). Oxford, GB: Oxford University Press.